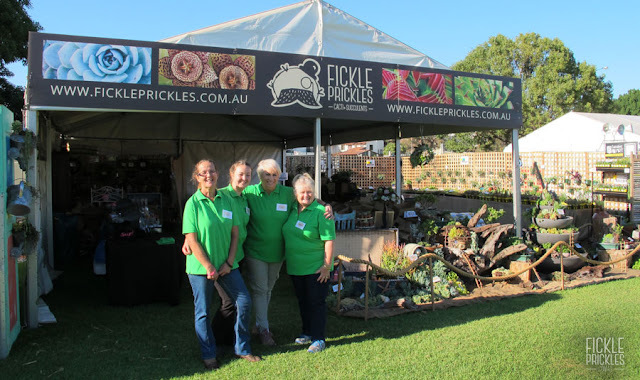 Well, that wraps up another year at the Perth Garden Festival. Wow, how much fun we had this year. There was reported to be over 30,000 people through the gates over the 4 days and the whole festival was humming. 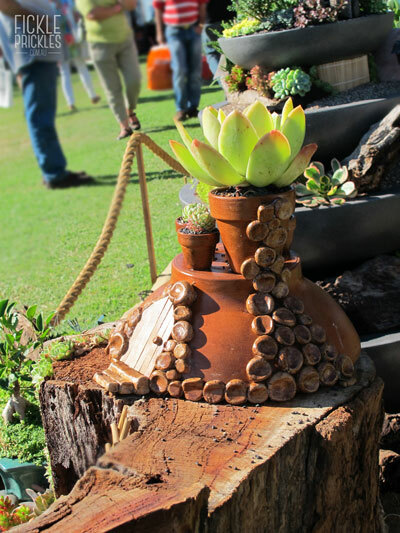 Great stalls, good food, interesting plants on offer. Who doesn't love that?! We really loved talking to everyone who came through our site. It was lovely to chat about what projects and plants everyone was interested in, and helping to choose what succulents suited their needs. 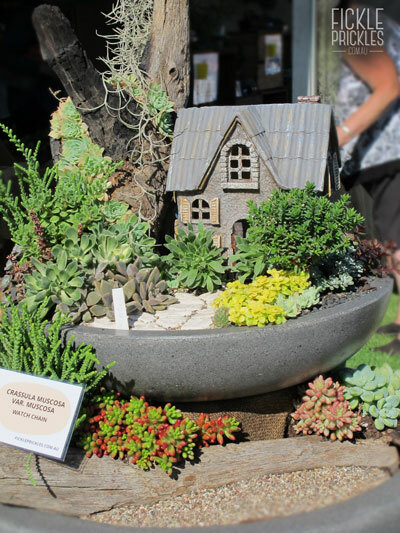 This year, our display had the theme of miniature gardens. 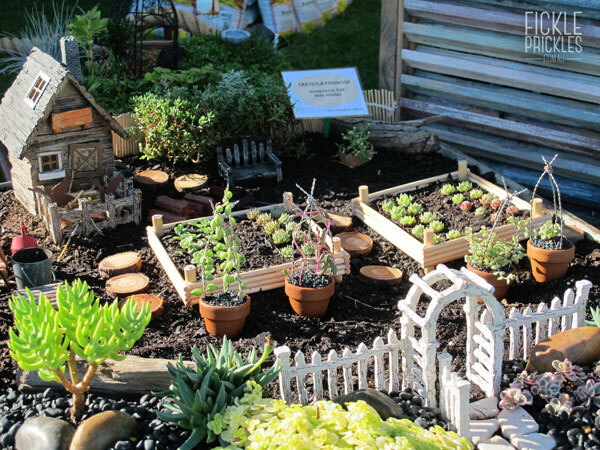 We created several mini gardens throughout the display, tucked in to various props and furniture. We created a miniature farm in an old, rusted wheelbarrow. We used String of Pearls to make mini pea obelisk, and tiny sempervivum rosettes for cabbages in the veggie patch. Our beach display, complete with jetti and handmade fishing rod (made by yours truly...) was planted out in an old blue chest you may recognise from our under the sea display form last year. 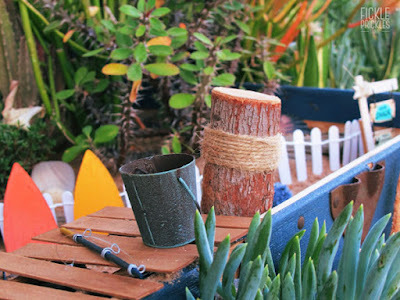 We decked out the ocean with Senecio Chalk Sticks and the back corner with an Orbea and Euphorbia milii. Our succulent fountain took some time to assemble and plant out, I can tell you! The top tier we planted up quite a few months back so it had time to establish. 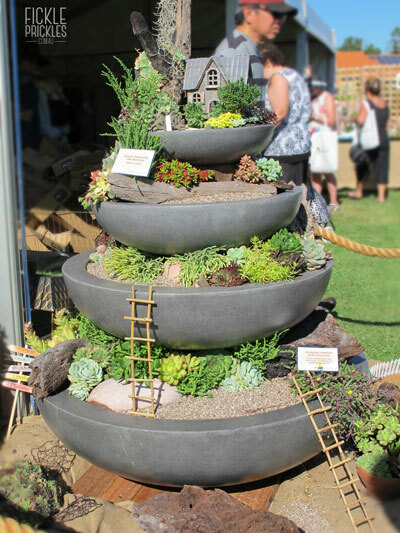 We included a grey miniature mansion to complement the concrete grey fountain. 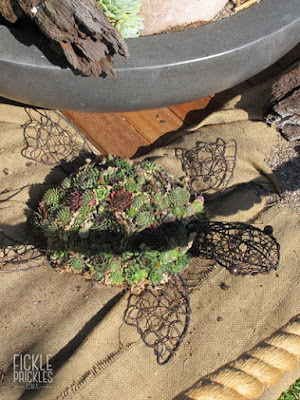 Stanley, the turtle decked out in sempervivums made his third grand appearance at the festival. 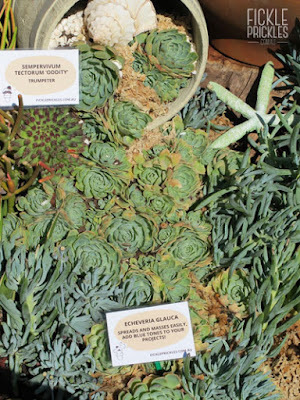 Each year, the sempervivums get more lush and compact. 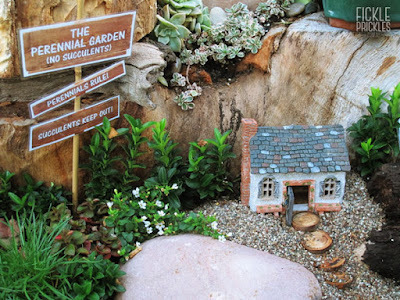 Perennials rule! 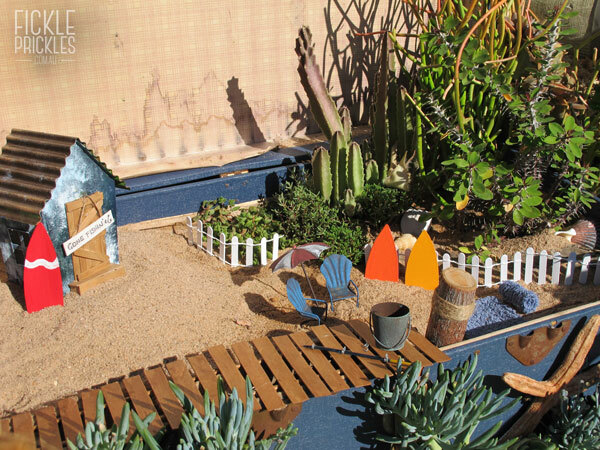 Succulents keep out! A little house on the hill, surrounded by perennial species. Here we have used Sagina for that luscious hill of lawn. A succulent pot spill using Echeveria glauca. 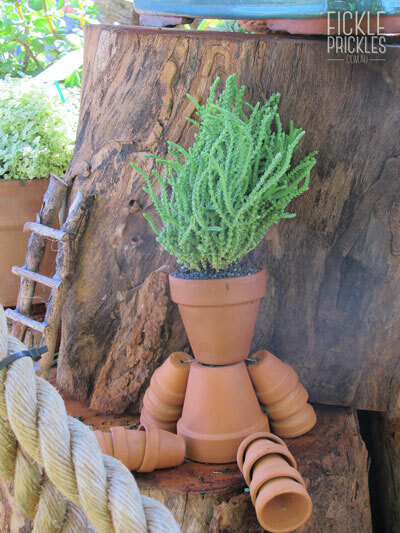 Bruce, the terracotta pot man with Crassula muscosa var. muscosa for hair, and a terracotta hobbit house. 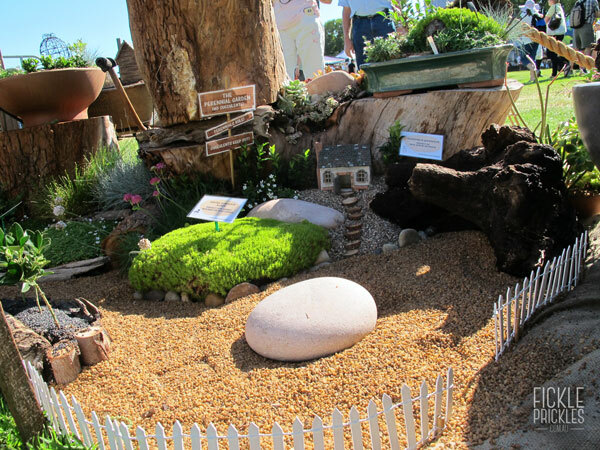 We have been busy bees planning our display for next year. What will be the theme? You will just have to wait and see! 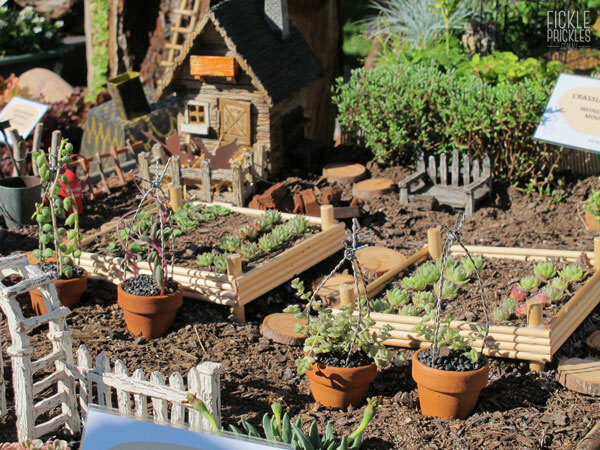 Hopefully it will provide ideas and inspiration on how to incorporate succulents, perennials and miniature gardens into your home and backyard.